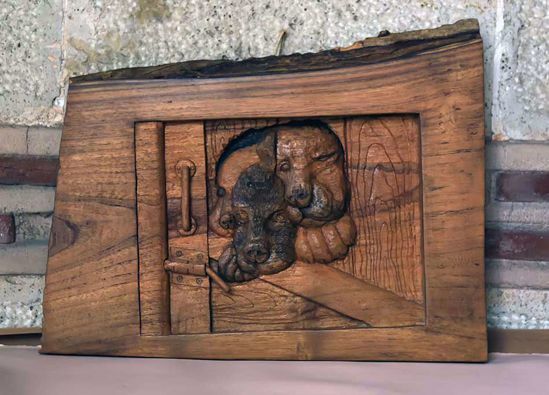 The Prisoners is carved from Maple. There is no dye and stain involved. Wood has been finished with natural wax.